*One time addition from FIS/Unisys FIRST Award prize. Because Thornton Academy is a private school, there is no state data on the food program. "Unlike the surrounding public schools, Thornton Academy does not receive any state or federal money to subsidize our food program. We find a way to budget for this expense and rely on the generosity of our alumni and friends who support the TA Annual Fund." The current student population of Thornton Academy (Upper and Lower Schools) is 1,625 students. There are approximately 328 local students who receive free lunch and breakfast at Thornton's expense. Every eligible student who requests free lunch/breakfast is fed. The schools do not differentiate between "free" & "reduced." Any students who might qualify for "reduced" lunch status at public schools are given free lunch status at TA. 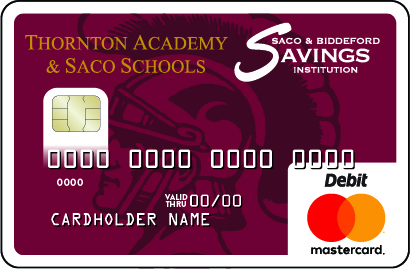 To learn about how the Community Debit Card program works, click here.